Khan won a simple majority from lawmakers in a Friday confidence vote three weeks after an election tainted by claims of military meddling and ballot-rigging. ISLAMABAD: Imran Khan was sworn in as Pakistan's new prime minister today, officially taking over the charge of power in the corruption affected country nearly 22 years after the former cricket hero entered politics. Khan, 65, the chairman of the Pakistan Tehreek-e-Insaf (PTI), was administered the oath of office by President Mamnoon Hussain at a simple ceremony held at the Aiwan-e-Sadr (the President House) in Islamabad. The ceremony, which was scheduled to begin at 9:30am, started 40-minute late. It commenced with the national anthem, followed by recitation of verses from the Holy Quran. Clad in a traditional greyish black sherwani, a tearful Khan was seen little nervous as he stumbled over some of the Urdu words of the oath administered to him. Army Chief Gen Qamar Javed Bajwa, former Indian cricketer Navjot Singh Sidhu, cricketer-turned-commentator Rameez Raja, former paceman Wasim Akram were among the special guests present at the ceremony. Khan, who famously captained the national cricket team to World Cup glory in 1992, had also invited some of his former teammates to witness his formal ascension to the top ministerial job in the country. Talking to state-run PTV, Sidhu recited couplets praising Khan. "A new morning is here in Pakistan with a new government which can change destiny of the country," he said. He hoped that Khan's victory will be good for Pakistan-India peace. The Pakistan Army chief twice hugged Sindu and both chatted briefly. Khan's third wife Bushra Maneka was also present at the event. She was clad in off-white dress covering her from head to toe. Only her eyes were visible. Bushra, who is also Khan's spiritual guide, kept her eyes downwards during the oath taking ceremony. After taking the oath, Khan and First Lady Bushra greeted guests. Later, Khan was presented a guard of honour at Prime Minister House. Khan's oath ceremony marks the end of decades of rotating leadership between the Pakistan Muslim League-Nawaz (PML-N) and Pakistan Peoples Party (PPP) - the two main political parties that dominated Pakistan's political scene when the powerful military was not ruling the country. Khan, who described Pakistan's founder Mohammad Ali Jinnah as his hero, has promised to transform corruption affected Pakistan into an Islamic Welfare state. The Oxford-educated Pasthun yesterday defeated his only rival and Pakistan Muslim League-Nawaz chief Shahbaz Sharif in a one-sided election for the top post in the National Assembly. Khan secured 176 votes while Sharif got 96 votes. A total of 172 votes in the 342-member lower house of parliament are needed to form a government. In his first address to parliament, Khan had vowed to act against those who looted Pakistan. "I promise my nation today that we will bring the tabdeeli (change) that this nation was starving for," Khan said yesterday after winning the election. "We have to hold strict accountability in this country; the people who looted this country, I promise that I will work against them," he vowed. "The money that was laundered, I will bring it back - the money that should have gone towards health, education, and water, went into people's pockets," Khan said. He has the support of smaller parties including Muttahida Quami Movement with seven seats, Balochistan Awami Party five, Balochistan National Party four, Pakistan Muslim League three, Grand Democratic Alliance three, Awami Muslim League and Jamori Watan Party one seat each. 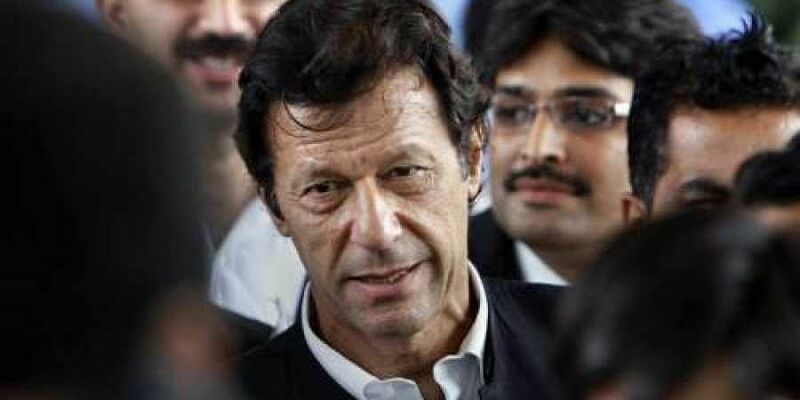 Khan's government will be the third consecutive democratic government in Pakistan since 2008 when military ruler Gen Pervez Musharraf announced elections after serving as president from 2001 to 2008 following a bloodless coup in 1999. Pakistan's powerful military has ruled the country through various coups for nearly half of the country's history since independence in 1947.